Every day, most of us dress ourselves in items churned out by what is arguably the world’s second-most polluting industry. Reportedly topped only by oil, the fashion industry is contributing to major environmental destruction – mainly because consumers insist on buying so many clothes at such cheap prices. Water is a significant part of the problem. Textile manufacturing uses huge amounts of water, much of which gets flushed into waterways laden with contaminants such as bleaches, acids, inks and dyes. Horrifyingly, farmers in parts of China and India are reportedly predicting fashion’s next biggest hues by the colour of rivers tainted by textile industry runoff. Fast fashion has terrible impacts on people, too, with workers in developing nations often paid a pittance to labour in unsafe conditions. Alternatives do exist. The solution lies in buying less and choosing better quality items that are made as ethically as possible. But how to tell good brands from bad? Step one is choosing brands that consider the planet and their workers. Te desire to wear cheap new looks daily has led to offshore manufacturing in often deplorable circumstances – buying local, well-made pieces can sidestep all that. You will also contribute to local jobs. Where possible, skip petroleum-based synthetics such as polyester and nylon, which are actually plastics that take forever to break down once tossed. 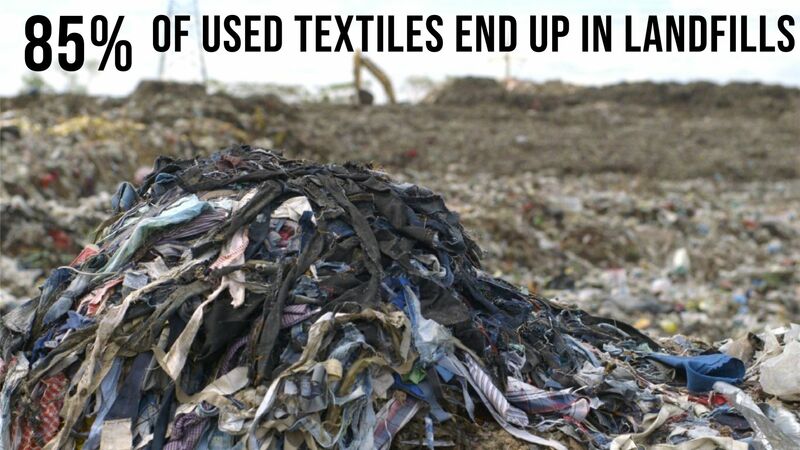 Each time such fabrics are washed, they shed thousands of microfibres that end up polluting rivers and oceans. Natural fabrics must also be selected with care. About half the world’s clothes and textiles are made from cotton, usually grown with pesticides and requiring mammoth water inputs. Bamboo has been touted as a more ethical option, but while the plant is farmed sustainably, toxic chemicals are often used to turn bamboo into fabric. Organic cotton and bamboo linen are better, as is hemp, linen, silk and wool. Lyocell, made from natural cellulose found in wood pulp (harvested from sustainably farmed forest plantations), also rates fairly well. Some brands are even recycling waste into fabric. Those with more time and skills can join the slow clothing movement and sew garments from scratch. You probably don’t want to name specific brands or outlets, but how does one know where to find these organically made, locally produced clothes? Wool is not better for the poor sheep who suffer horrendously at the hands of the people involved in farming: https://www.youtube.com/watch?v=Oar0Oxrv5mg Not to mention the abuse at the slaughterhouse – plenty of videos of that from all countries. very good point, thanks for sharing. Cotton also has a huge environmental footprint. Very tricky!! Vintage clothes the best! !